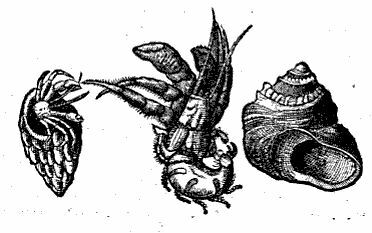 Renewed interest in natural history began to increase by the 16th century, over the next few hundred years there were many studies carried out by what we would today call amateur naturalists although they were usually professional men in other fields. Now Aristotles work was (to easily) put aside as belonging to the old garbage and men started anew. 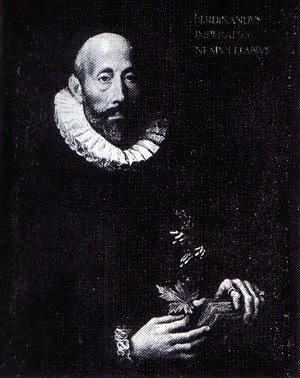 French naturalist who made an extensive scientific journey in countries around the Mediterranean. 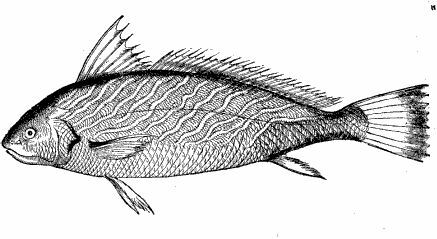 He wrote several works descriptive of his observations on these journeys in which he described fishes and birds. Back in Paris he was murdered by robbers in Bois de Boulogne. 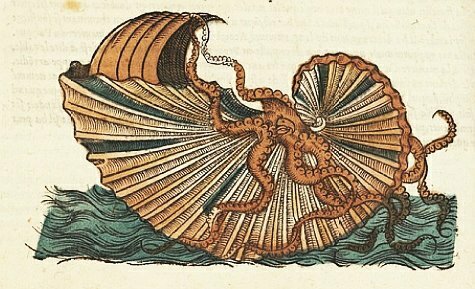 Of the 55 leaves in this little book, about 38 are given to the dolphin and its kind, about 5 to the hippopotamus, and two or three to the nautilus. 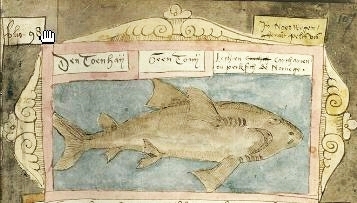 Ten fishes are briefly described with clearly recognizable figures. 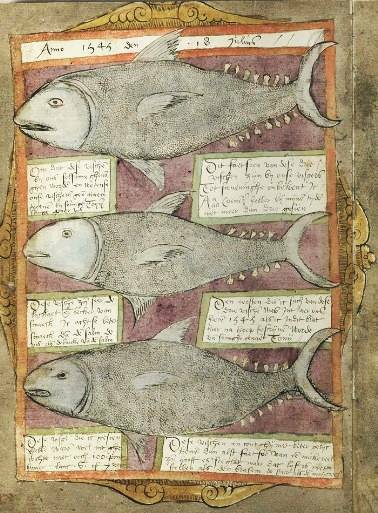 This seems to be the first scientific book with detailed figures of fishes (at least in the Western world). 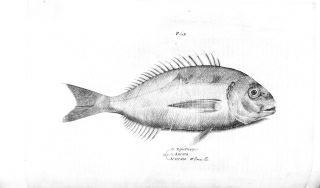 Rondelet, Professor of Medicine in Montpeiller, travelled extensively through France, to Amsterdam, and through northern Italy, studying fishes on his way. 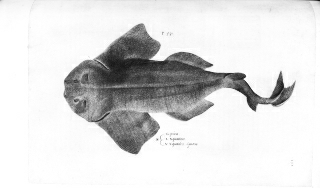 Contains about 200 marine fishes and many other marine animals with an illustration added to almost every description. The first part starts with 4 general chapters, the following 11 are on marine fish, the 16-th chapter is on whales, turtles and seals, the 17-th on molluscs and the 18-th on crustaceans. 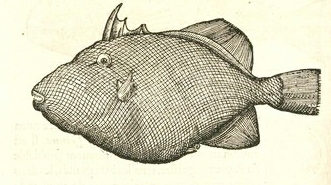 The second part contains two chapters on molluscs, one on zoophytes, three on fresh water fish and one on amphibians. 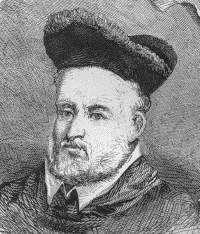 Salviani was a professor of medicine at Rome. 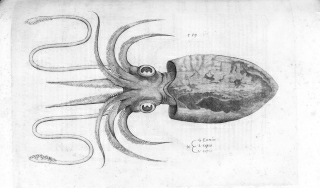 It is thought that the fish, octopus and squids that he studied were primarily obtained in the Roman fish markets. "The drawings by Salviani, not so numerous are generally considered to be superior to those found in the works of Belon, Gesner and Rondelet. 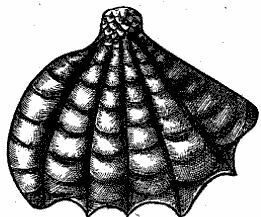 They number ninety-nine, almost all are of fishes of Italy with some from Illyria and the Archipelago, not counting a few molluscs." 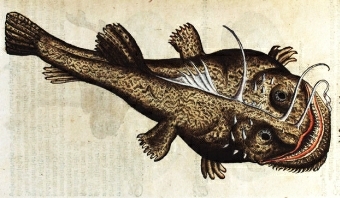 (Cuvier/Pietsch). 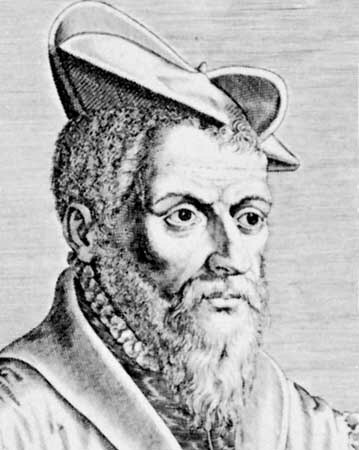 Swiss physician and naturalist, best known for his systematic compilations of information on animals and plants. 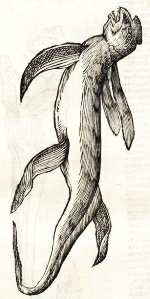 Historiae animalium, appeared in 4 vols. 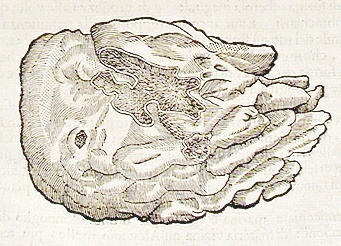 quadrupeds, birds, fish and snakes 1551-1558, a fifth (scorpions) being issued in 1587. There is a German translation, entitled Thierbuch. By some authors this work is considered to be the starting-point of modern zoology. 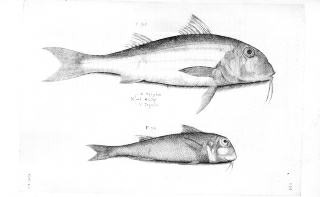 Coenen was a clerk to the fish auction, official beachcomber, and an amateur naturalist. His entire life he studied whales and fish found ashore or caught by fishermen. 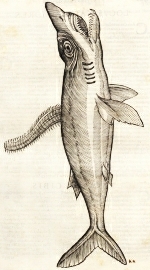 Through his connections with high placed persons he also got the opportunity to study many books on (marine) species. A very lively, never edited, one copy book. With more then 800 pages in watercolour with a rich variety of illustrations. 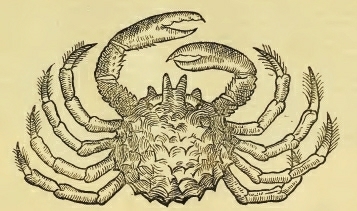 Although he knew many species himself most drawings and texts are copied from others like Belon, Rondelet, Gessner and older works. Florike Egmond - Het Visboek. 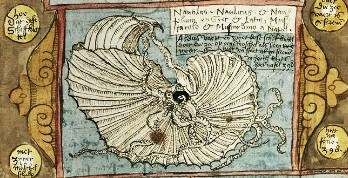 De wereld volgens Adriaen Coenen 1514 - 1587, 2005. 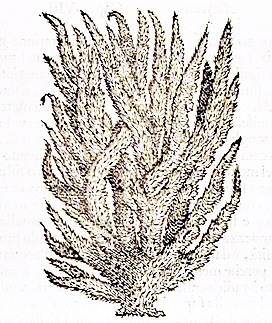 Comparable to the Visboeck, with emphasis on whales in the first part. Some pictures and texts appear in both books. Florike Egmond en Peter Mason - The Whale book, 2003. Unfinished last work of Coenen, with much material from his other books. Hopefully this book survived the devastation of the Municipal Archives of Cologne the 3-th of march 2009. More on Coenen's books and on other Dutch ichthyologists in: Richer, C. Hollandse visboeken De onweerstaanbare kracht van de afbeelding. In Hell, M (2006). Hollandse vis: Hollandse vis themanummer Holland. Historisch tijdschrift (38) 2006 p. 161-176. 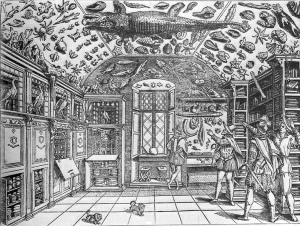 Apothecary of Naples who had a vast cabinet of curiosities. 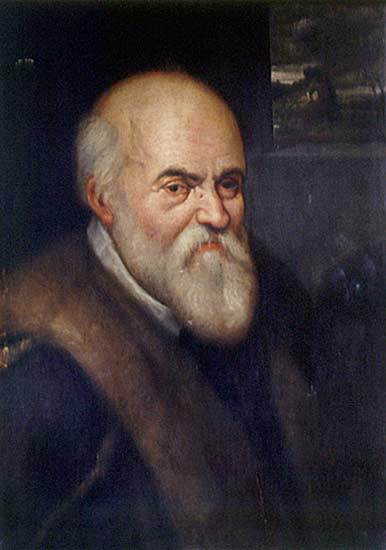 He also ranged southern Italy making geological observations and was among the first correctly to identify the processes through which fossils were formed. Ferrantes collection embraced a herbarium, shells, birds, sea creatures, in addition to the fossils, clays, minerals and metallic ores, marble and gem species. The catalogue is divided in 28 books with substantial sections on mining (5 books) and alchemy (9 books), the remainder being devoted to animals and vegetable specimens. 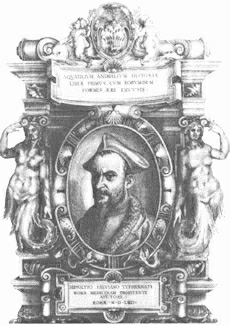 Doctor of medicine and philosopher in Bologna. He became interested in nature during exile in Rome. Back in his hometown he became professor of Natural History. A great encyclopaedia on Natural History of wich only three volumes on ornithology and one on entomology were issued during his life. 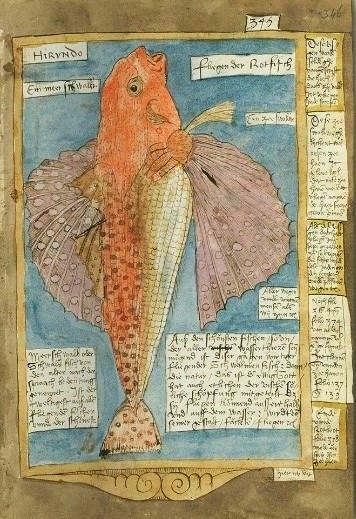 Total content His two books on marine species mentioned below are based on the species of Rondelet, to which he adds more species. 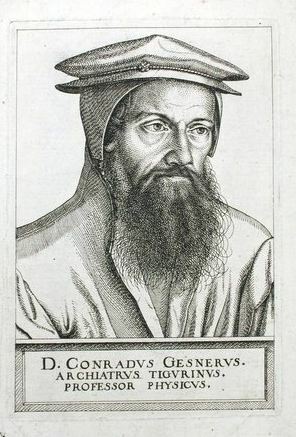 The last volume was brought out after Aladrovandi's death by the Dutchman Joannus Cornelius Uterverius and the Italian Hieronymus Tamburinus. 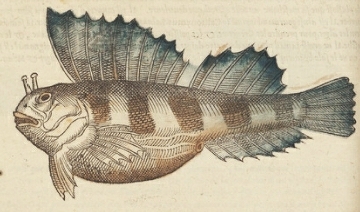 The part dealing with fishes comprises 668 folio pages illustrated by hundreds of woodcuts. 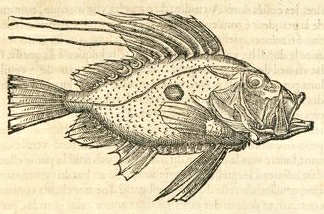 A certain number of figures and descriptions are of new Mediterranean fishes, but the greater part of the book is a compilation of fishes of Western Europe.